Boy, things against the Twins have gone from good to bad to worse. Allen Webster started, and it was not pretty. At no point did he possess even a modicum of command or control. He struck out the first batter he faced but then issued two consecutive walks, an RBI double, a successful sac fly, and a two-run home run. He gave up a solo shot to lead off the second. He then issued a walk, gave up a double, and got the inning’s first out. After that came another successful sac fly and another RBI double. John had no other choice. He had to take Wilson out, but the bullpen has been overworked lately. He didn’t have anyone else to turn to. So he turned to a starter. Doubront relieved Wilson, but he was not an improvement. He issued a walk and gave up two singles and a double that resulted in four runs total. Only one of those was inherited and therefore attributed to Wilson. Doubront gave up a single in the third but no runs scored. He wasn’t so lucky in the fourth. He gave up two singles and a walk that loaded the bases. He was fortunate to escape that jam with only one run scoring, which at least resulted from a double play. He gave up a double to lead off the fifth; two outs later, he gave up an RBI single followed by another single and an RBI double. Amazingly, he had a one-two-three sixth and gave up two singles after a runner got on base thanks to a throwing error by Ciriaco, all without allowing any runs in the seventh. I suppose we tried our best to hold our own in this one. It wasn’t a slugfest for us, but we did score a quantity of runs that I would deem sufficient to win any ballgame. Any pitcher should be able to win with the number of runs that we scored, and the fact that we didn’t shows that the pitchers really dropped the ball this time. Miller pitched the best inning of the game: the eighth, in which the Twins went down in order on three strikeouts, two swinging and one looking. Tazawa came on for the ninth and ended the game similarly to how it started: with runs. He gave up two consecutive singles and hit a batter to load the bases. And then he gave up a successful sac fly. Okay, so it was only one run, but still. Ellsbury struck out to open the first, but Victorino and Pedroia then hit back-to-back singles. Papi struck out, and Napoli walked to load the bases. And then something really amazing happened. It was something so beautiful and so rare that you need to watch replays of it to convince yourself that it really happened but also just to see it again. Oh, man, it was awesome. It was awesome, awesome, awesome. Gomes stepped up to the plate and took a slider for a ball. Then he got a four-seam at ninety miles per hour that he really, really liked. He laid into it with all he had. The ball sailed beyond the Monster, and Gomes sailed right into a mob waiting at home plate. Ladies and gentlemen, Jonny Gomes hit a grand slam. And then Salty doubled and scored on a single by Drew. And that was the first inning. We scored a grand total of five runs on two swings, and of course we scored four of those on only one swing. I maintain that we should be able to win a game in which we hit a grand slam. We deserve to win any game in which we hit a grand slam. That’s the sad part. We’d have had to score the equivalent of at least three grand slams to win this one. With two out in the second, Victorino hit a solo shot. The count was 2-0, and he got a four-seam that he liked as well, which he also hit beyond the Monster. Other than that, Salty singled in the third, Ciriaco and Ellsbury worked back-to-back walks to lead off the fourth, Napoli singled to lead off the fifth, and we went down in order in the sixth. Pedroia and Napoli both singled in the seventh, and a sac fly by Gomes brought Pedroia home. We had a repeat performance in the eighth; Drew and Ciriaco both singled, and a sac fly by Nava brought Drew home. Needless to say, we went down in order in the ninth. In the end, we lost by the ugly score of 15-8. No baseball team should lose after scoring eight runs, and yet despite those eight runs, twelve hits, and four walks, we lost to a team that scored almost twice as many runs as we scored. We batted .300 with runners in scoring position, four of our hits were for extra bases, and let’s not forget about the grand slam. But when your pitching staff gives up fifteen runs on twenty hits, there’s really not much you can do about that; eight runs should always be considered sufficient, and if we’d happened to score more than fifteen runs, then that’s just great. But it shouldn’t have to be essential. In other news, the B’s beat the Leafs, 4-3. We now lead the series, 3-1. The game lasted three hours and one minute. When a game is short, it’s either really good and really bad. Usually, it’s really good for one team and really bad for the other team. Dempster gave a great start. He was the victim of some errors, but overall he made a great start. He pitched seven innings, which is longer than usual for him. He gave up four runs, only two of which were earned, on five hits. He walked only one and struck out eight. Disregarding the unearned runs and accounting for the number of innings, the lack of walks, and the abundant strikeouts, it was one of his best starts this year. He had a one-two-three first. A single was his only blemish in the second. He had a one-two-three third. He gave up a single and issued a walk in the fourth. The trouble started in the fifth. He gave up a double and then balked. He induced a popout that was more trouble than it was worth; Middlebrooks caught it in foul territory, but he collided with Ross en route. 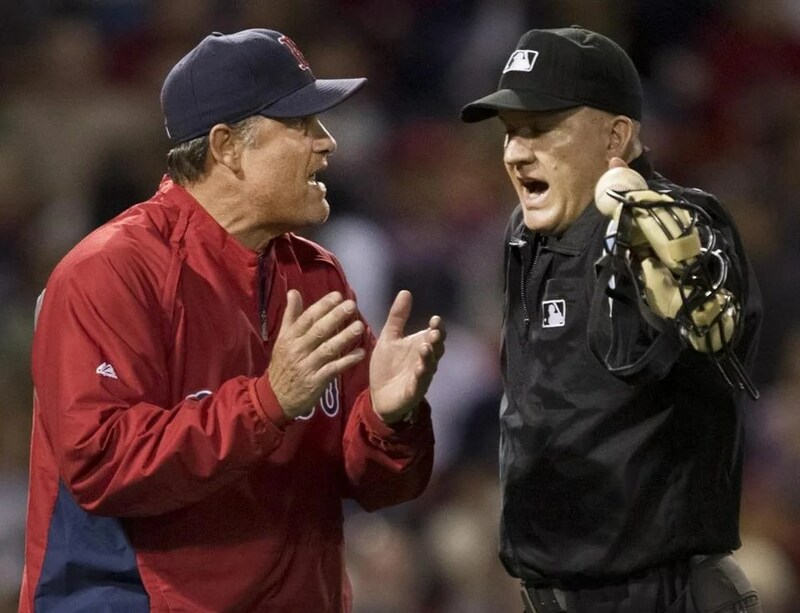 It was so bad that the two of them had to leave the game; Ross had an injured leg, and Middlebrooks had an injured side. It was truly, truly painful to watch too. But what a catch. Seriously, what a catch. And Dempster allowed a single that Drew deflected and that scored a run. He had a one-two-three sixth, and he gave up a solo shot in the seventh. It was reviewed but ended up standing. But it was close. Really, really close. Dempster had two baserunners reach in the eighth on errors. Both were fielding errors by Ciriaco. That was when Dempster was replaced by Breslow, who gave up a double, a walk, and two singles. The latter two singles were both responsible for loading the bases. Four runs scored on Breslow’s watch; the first two were attributed to Dempster because they were scored by inherited runners, and those were the ones that were unearned, although one of Wilson’s own runs was also unearned. Wilson replaced Breslow and induced a force out; the runner was out at home, but that didn’t stop another runner from scoring. Salty tried to make it a double play by firing to first, but supposedly the ball hit the runner. John came out to argue; he wasn’t ejected, but his argument wasn’t accepted. Wilson ended the inning shortly thereafter. Other than a walk issued in the ninth, Wilson was right on. Meanwhile, our hitters were doing absolutely nothing. It was like all their strength was sapped by the walkoff win, and they had nothing left. We mustered a grand total of four hits all night. Ellsbury singled to lead off the first, Papi singled to lead off the second, Drew singled to lead off the third, and Salty homered beyond the Monster. Ellsbury and Pedroia both walked in the ninth. So all of that means a few things. First of all, without those four hits, we would have been no-hit. Secondly, without Salty’s homer, we would have been shut out. Thirdly, because Ellsbury walked after Salty’s home run and because Pedroia walked after Ellsbury was thrown out in a double play, at no point during the entire game did we have a single baserunner in scoring position. Lastly, it means that we lost, 6-1. We thank the baseball community for its support during this somber and difficult time. On Tuesday, “Sweet Caroline” serenaded baseball fans throughout the country as teams played it during their games in solidarity. We appreciate the salute. We got off to a great start. Ellsbury, the game’s first batter, singled in the game’s first at-bat. Then Victorino got hit, and Pedroia singled to load the bases. So, to review, we had the bases loaded with nobody out in the first inning. The first third of our lineup successfully got on base. Then Napoli stepped up to the plate and singled in two runs. And Nava stepped up to the plate and singled in one more. Unfortunately, we followed that epically solid rally with three straight outs. But we had three runs on the board before the Tribe even took the field, and things looked good when they went down in order in the bottom of the frame. Neither team scored until the fifth, when we were back at it. Middlebrooks and Salty provided two quick outs, but Drew walked on five pitches and scored on a triple by Carp. We added yet another run in the following frame. Victorino led off with a single. Pedroia struck out, Napoli doubled, and Nava singled in Victorino. Until that point, Aceves was doing extremely well. He had just pitched five shutout innings. But he imploded in the sixth. He allowed a walk and two consecutive home runs for a grand total of three runs. If we hadn’t added on those two insurance runs, Aceves’s complete and total fail would have tied the game. Aceves didn’t even record a single out that inning. It was absolutely awful. In the blink of an eye, he lost all command and control, and he just couldn’t find the strike zone at all. Fortunately, John made the switch to Tazawa just in time; Tazawa sent down the Indians in order after that. Just in time indeed. In the end, the game finished similarly to how it began. Ellsbury singled to lead off the eighth, moved to second on a wild pitch, and scored on a fantastic combination of a sac bunt by Victorino and a throwing error. Uehara pitched a great eighth, Bailey pitched a great ninth, and we won, 6-3! In other news, the Bruins beat the Sabres, 2-1. I can’t even believe that this day has finally arrived. 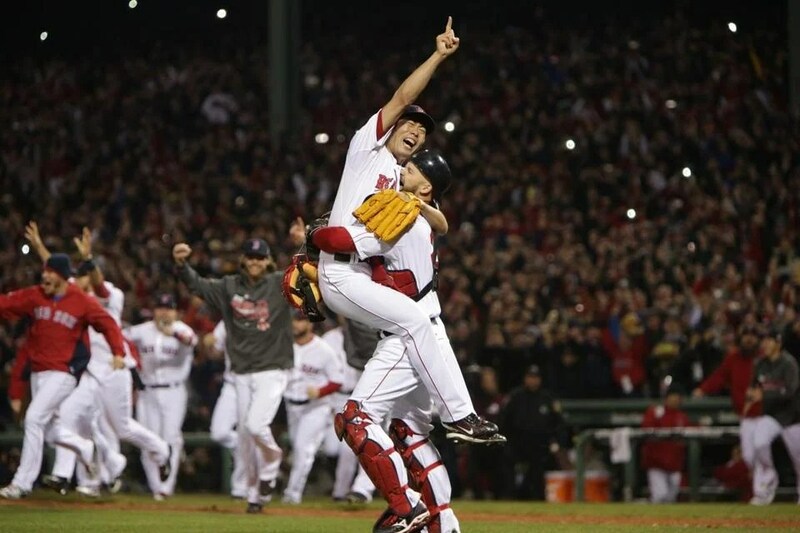 Out of the interminable slog that was all of last year, out of the rounds and rounds of speculation that was this offseason, we have finally emerged to welcome baseball back to Boston with open arms! I don’t know about you, but I really feel like I’ve earned this one. It’s been rough, man. With the way last season went, I felt like it was winter before the season was even over. It was a long and cold one. We’ve done without for way too long. And then, suddenly, April arrived, and we enjoyed the glorious first opportunity of kicking back, relaxing, and taking in three hours and thirty-seven minutes of pure, unadulterated glory. Man, it’s good to be back. Where do I even start? I don’t even know. It was all so divinely inspired. I can’t even talk about it. Lester. I’ll start with Lester. Wow. What can I even say? Pretty much the whole staff got it together at camp, and Lester most definitely did not disappoint. His start lasted only five innings, but this is so epically not the time to be picky. Five solid innings on the first day of the season is fine as far as I’m concerned; he’ll pick it up as time goes on. Besides, those five innings were pretty impressive. Two runs, five hits. Two walks. Seven strikeouts. There was a four-pitch strikeout of his first batter of the season on four pitches, ending with what was technically a cutter, but at ninety miles per hour with his movement, whether it was a cutter or cut fastball is a question that will probably not be answered anytime soon. Then there was the seven-pitch strikeout that ended with a cutter, and the six-pitch strikeout that ended the second with a cutter, and the seven-pitch called strike in the third that ended with a cutter. Lester had himself another seven-pitch strikeout in the fourth, this one ending with a fastball, but like I said, whether it’s really a fastball or a cut fastball is hard to answer. And irrelevant, since a strike is a strike. Lester bookended his fifth with strikeouts, the first five pitches ending with a changeup and the second his only one comprising three pitches: a sinker clocked at ninety-one miles per hour, a changeup at eighty-four, and a fastball at ninety-three, which wasn’t even his fastest of the day; he got up to ninety-four. Ninety-six pitches, about sixty-six percent of which were strikes. He was on with the cut fastball. The overwhelming majority of his pitches were cut fastballs, as we’d expect. And he put that fabulous Lester-esque bite on them, too. They were moving exactly the way he wanted them to. And he mixed in some nasty sinkers, changes, and curves in there as well. He stood up there and he was a master. I almost felt bad for the hitters until I remembered that we were squaring off against the Evil Empire. And then I felt better. Anyway, Lester threw seventeen pitches each in the first two innings, sixteen in the third, and twelve in the fifth. The fourth was the big one; Lester threw thirty-four pitches. He loaded the bases that inning and couldn’t completely escape without allowing a two-run single. Other than that, Lester was solid gold. Farrell then rolled out five relievers. Uehara, Miller, Bailey, Tazawa, and Hanrahan combined to shut out the Yanks for the rest of the game. All told, the Yanks were limited to six hits. Alright, here we go. Offense. Let’s get down to it, because our hitters were as hot as our pitchers. The starters stayed in for the whole nine, and they were great. Great patience and eyes all around. Great baserunning, too. Ellsbury led off, followed by Victorino, Pedroia, Napoli in cleanup, Middlebrooks, Salty, Gomes, Bradley, and Iglesias. Look for Farrell to change the lineup around pretty frequently, but this one worked out just fine. Iglesias went three for five, Ellsbury went three for six, Gomes went two for four, and Pedroia and Victorino both went two for six. Salty doubled, and Ellsbury tripled, and that was it for extra-base hits. This was Bradley’s debut in the big show, and he certainly made the most of it. Of our four total walks, Bradley accounted for three, not to mention his obvious speed on the basepaths as well as his run-saving, inning-ending, outstanding haul in left in the third. Pedroia singled in the first, but we didn’t score. Our big inning was the second. Middlebrooks grounded out, and then Salty walked in five pitches, Gomes singled, and Bradley walked to load the bases. Then Iglesias singled on the first pitch of his at-bat, bringing home one and reloading the bases. Then Ellsbury grounded into a force out, causing Gomes to be out at home. 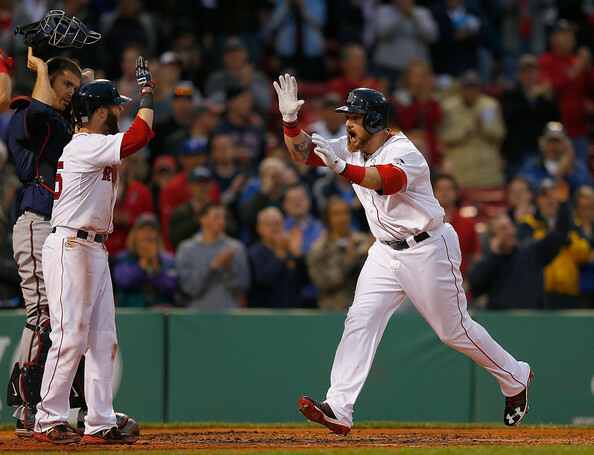 But then Victorino and Pedroia hit back-to-back singles, bringing in three before Napoli flied out to end it. We went down in order in the third and put two on but didn’t deliver in the fourth. A double and two walks, one intentional, loaded the bases again with two out in the fifth, but we didn’t deliver on that either. Ellsbury tripled to lead off the sixth, but still nothing. Then, in the seventh, Middlebrooks and Salty fought hard for back-to-back walks on eight pitches each. Middlebrooks moved to third on a flyout by Gomes and scored on a groundout by Bradley. We went down in order again in the eighth but closed it out with a bang in the ninth. 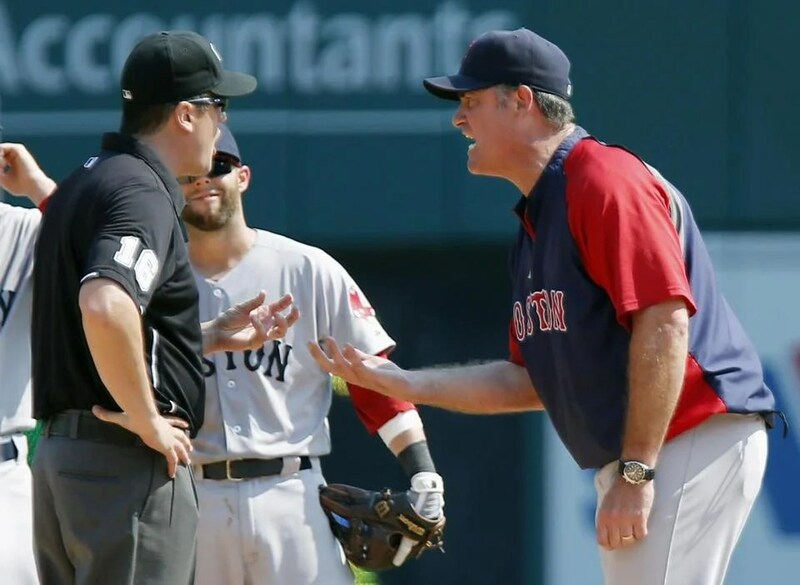 Middlebrooks was called out on strikes before Salty walked, Gomes singled, and Bradley walked to load the bases. Iglesias struck out and then Ellsbury and Victorino singled back-to-back to bring in three. Gomes accounted for the second of those runs, rocketing home all the way from second base. The dugout and everyone else went appropriately insane. And that, my friends, is the story of how we cleaned the field with the Yanks, 8-2, on their soil. To me, this is much bigger than just winning the first game of the season. We’ve had just abysmal starts out of the gate for the last two seasons. This game means a lot to the team, and it means a lot to us. We’re a new team now, and it shows. There’s nothing like a more-than-auspicious start to the year to provide a good feeling about what’s to come. Let’s get it! I’ll say one last thing. Seeing Kevin Youkilis in an enemy uniform was downright bizarre and torturous. It’s a shame. It’s a real shame. And I guess that’s that. In other news, the B’s lost to and beat the Leafs and lost to the Habs in a shootout; it was painful, but at least we get a point out of it. We beat the Sens, lost to the Leafs, and beat the Sabres.